The dog days of summer haven’t quite ended yet. With August bringing some of the hottest days of the season, your AC is working hard to keep up with the increased load. 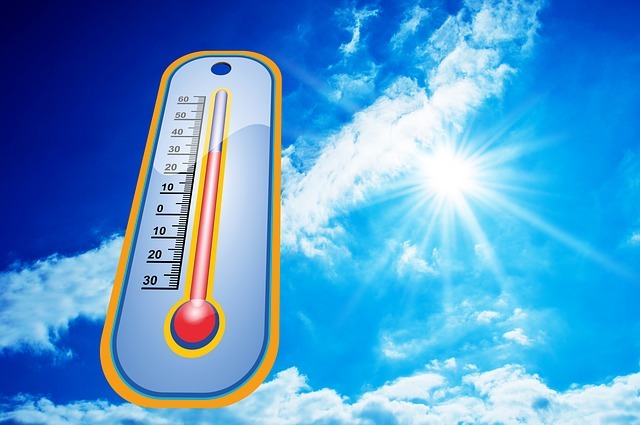 Use these tips to beat the summer heat without overtaxing your home’s systems. 1. If you’re not using a room, close the doors and vents. This will keep the AC from using its energy to cool off rooms that it doesn’t have to. Closing off the vents in lower rooms so that cool air can make it upstairs can be a particularly helpful tactic. Keep the lights off whenever possible and switch to energy efficient bulbs, which produce less heat. When you are away, adjust the thermostat so that your house is a little warmer, keeping the pressure from overwhelming your system. A programmable thermostat makes this even easier. 2. If it can be avoided, don’t place lamps, TVs or appliances close to the thermostat. This can fool your AC into thinking that it’s warmer than it is, forcing it to work overtime. Run heat-producing appliances like dryers or dishwashers during the evening hours or consider air-drying your clothes and dishes. Planning a summer BBQ instead of using the stove can also help keep the heat at bay. Even blow dryers, curling irons and laptops can heat up your home, so keep this in mind if you are struggling to keep your house cool. 3. Shading the window on the sunny side of your house is another way to keep the heat away. The right window coverings can also make a big difference. Inspect your windows for any damage to weather stripping that could cause warm air to leak into your home. 4. A well-maintained home and appliances are essential, if you want to keep your home cool and beat the summer heat. It’s best to give your AC a checkup before the peak of the summer heat, but it’s also a good idea to inspect it after heavy use, to ensure that everything is working as it should. Regularly changing your air filters is another way to keep your AC operating at peak performance. Keeping your home in the best possible shape during the summer, and beyond, can be a major challenge. It helps to have the support of a professional team who can help you prioritize, stay on top of your maintenance checklist and beat the summer heat. Contact Hassle Free Home Services to learn more.